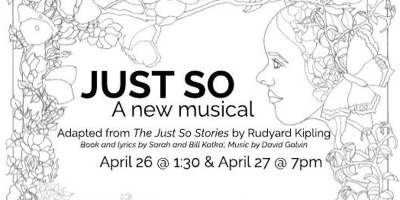 We invite you to join us for the world premiere of JUST SO, a new musical written by DCA faculty and performed by DCA students. JUST SO adapts four of Rudyard Kipling’s beloved Just So Stories using song, story, and puppets to create a magical world that will enchant audience members of all ages. 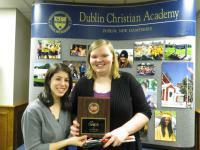 Dublin Christian Academy seeks to train young people to be good, Christian musicians. Student involvement in music is a reality both on campus and away from the campus. Any interested student may take private lessons on the beginning, intermediate, or advanced levels in piano and voice. Furthermore, students may have an opportunity to participate in vocal groups: the DCA Ministry Team, Ensemble, Men's Chorus, Ladies' Chorus, quartets, trios, and duets. Instrumentalists will find opportunities in brass, woodwind, and string performance. The Bible places a great emphasis on music as a part of worship and the use of a person's talent to glorify the Lord. Therefore, teaching teenagers how to personally minister to others is an important part of their musical training. 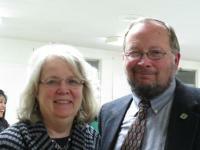 Musicians have multiple opportunities to perform at Mountain View Bible Church, at local nursing homes, and then on tour throughout New England and various places in the eastern United States. At Dublin Christian Academy students have an opportunity to develop and use their speech abilities in many performance situations. Speech competitions, school productions, speech classes, and our Ministry Team all afford students the opportunities they need to develop personal responsibility, confidence, leadership, poise, and interpersonal skills. The pressures of major productions and preparation for competition develop characteristics that will help them cope with life's pressures and problems. The ministry of the DCA Drama Team takes young people into numerous churches where the Gospel can be brought to life on stage, enabling them to utilize their abilities to serve the Lord. 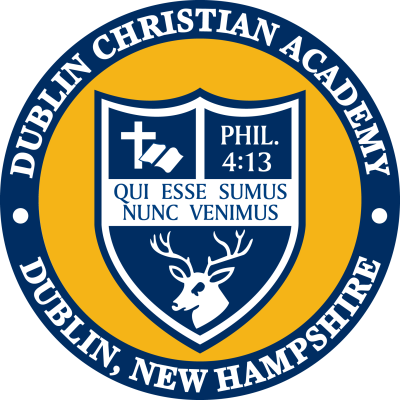 The Dublin Christian Academy Ministry Team will present a program of music and drama designed to bless people in the churches where they perform. Our goal is to serve the church by bringing the message of the gospel and a challenge to Christians to fulfill our Commission to affect the world around us. The drama includes short sketches and plays that will present a challenge to modern believers in a humorous way, as well as a short play that presents the gospel in an original manner. Musical pieces will complement the message using voice and instruments to bring praise to the Lord.